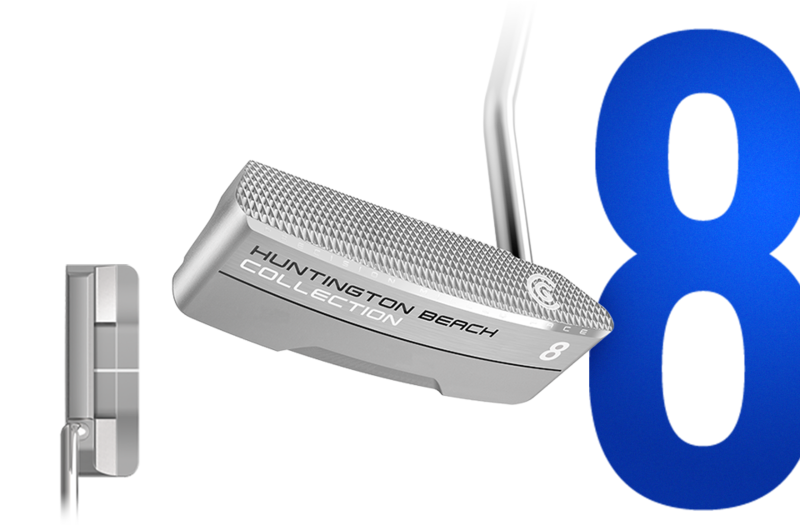 With exceptional feel and tour-proven designs, these three additions will inspire confidence and assist alignment to help you sink those crucial putts. 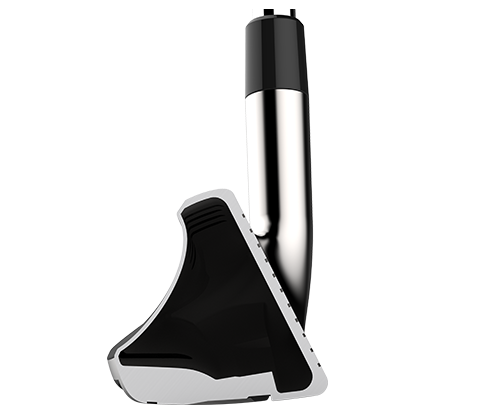 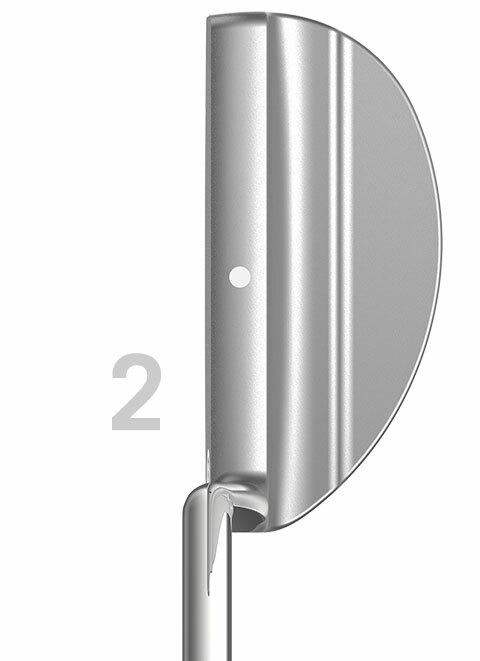 Toe-down blade design with a single alignment dot and clean address look. 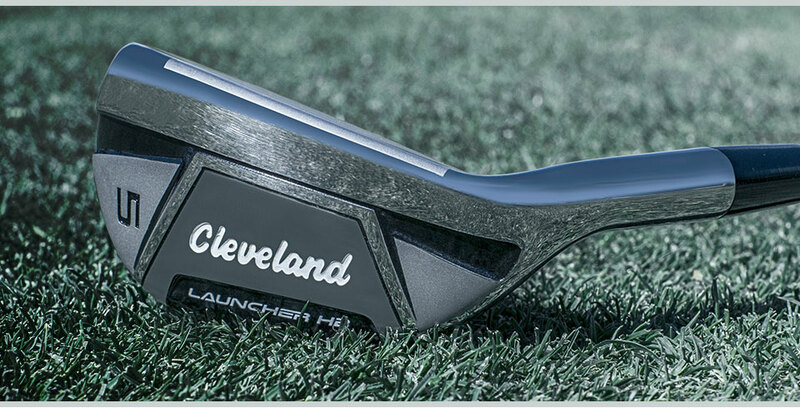 An oversized blade offering with more stability for a truer, consistent roll. 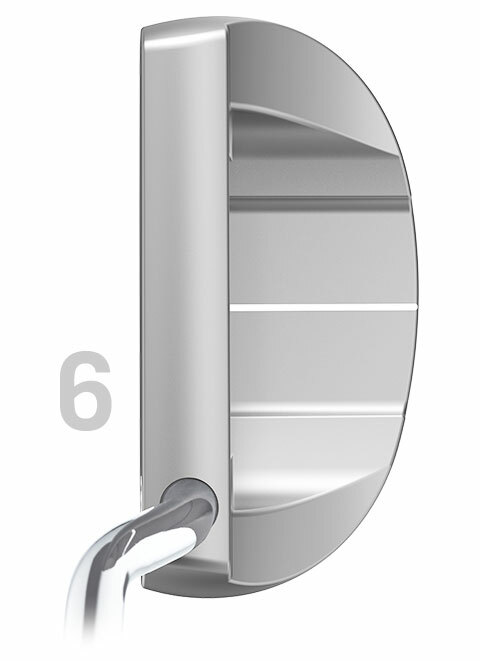 Mallet featuring two stability wings that add forgiveness and frame the ball at address for better alignment. 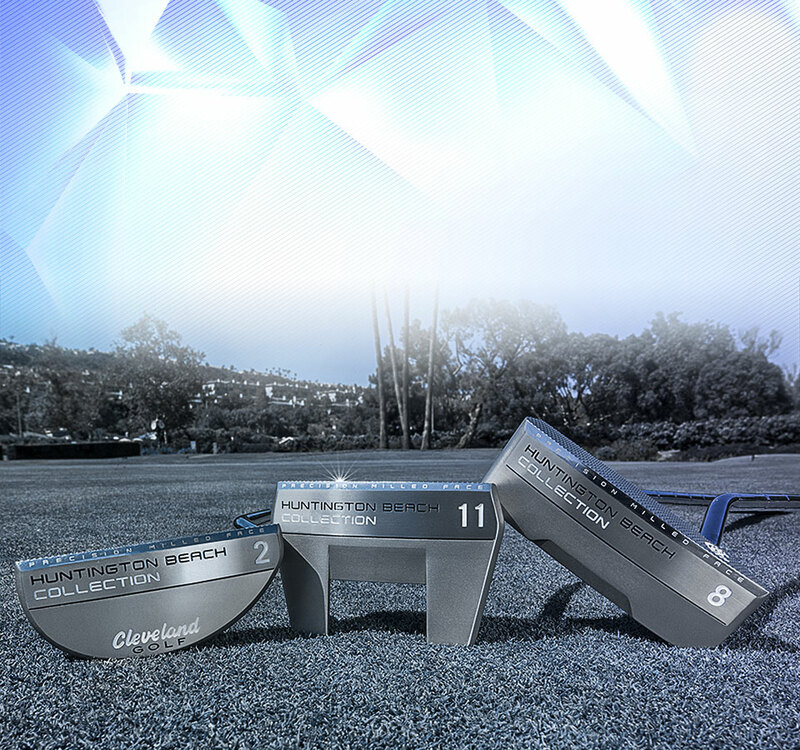 Named after the beautiful setting of Cleveland Golf’s North American headquaters, these putters feature the classic design that have been revered for generations with modern innovations that can help any golfer improve their scoring. 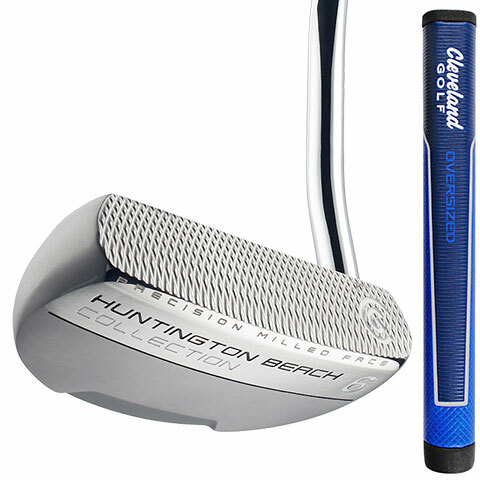 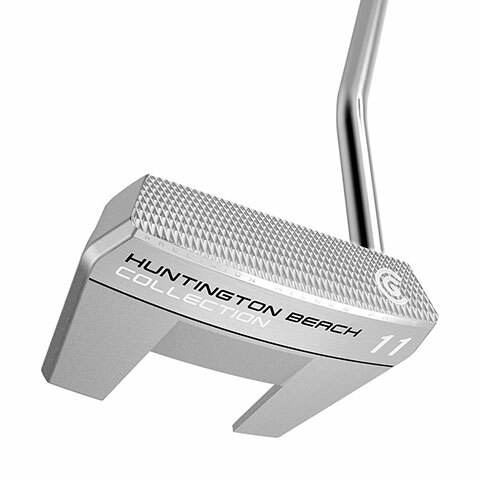 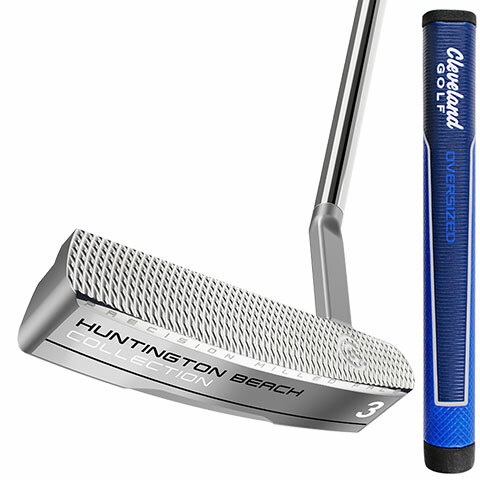 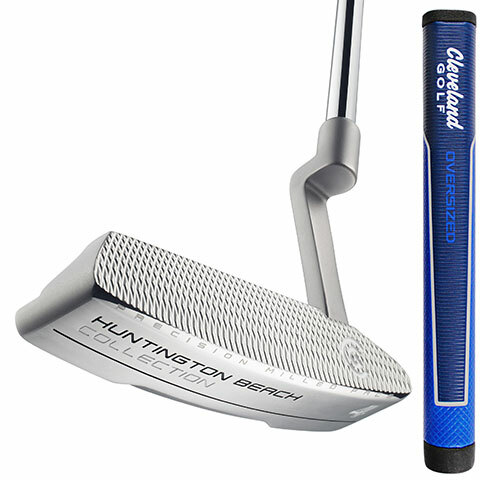 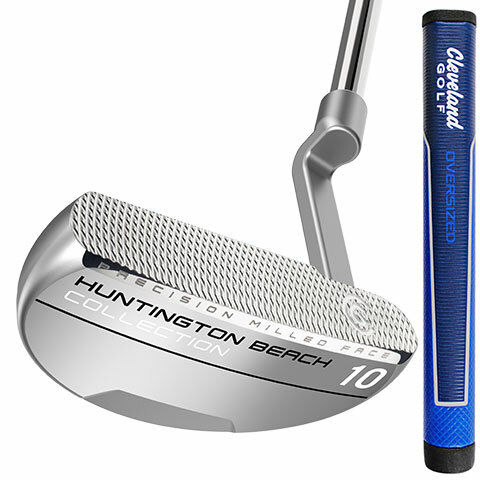 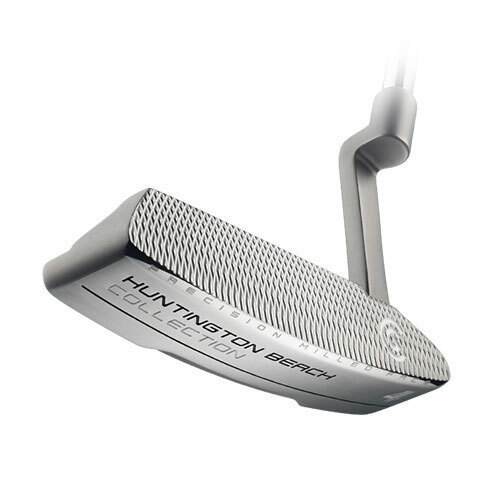 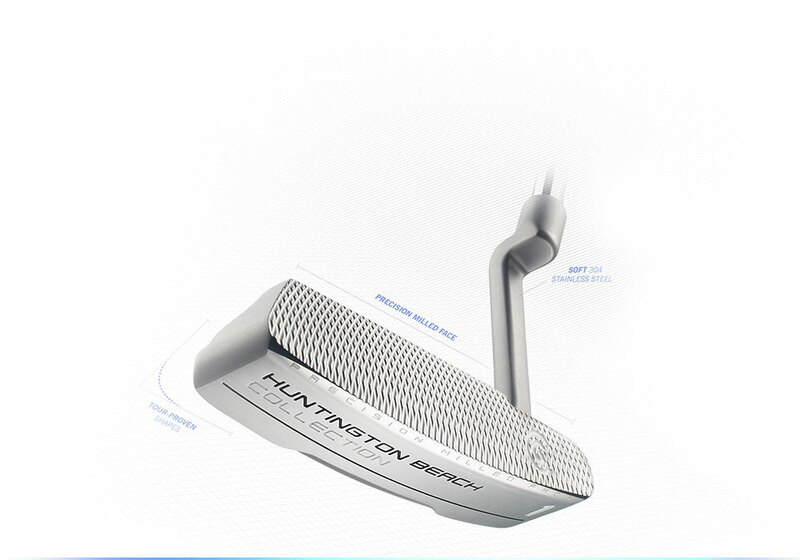 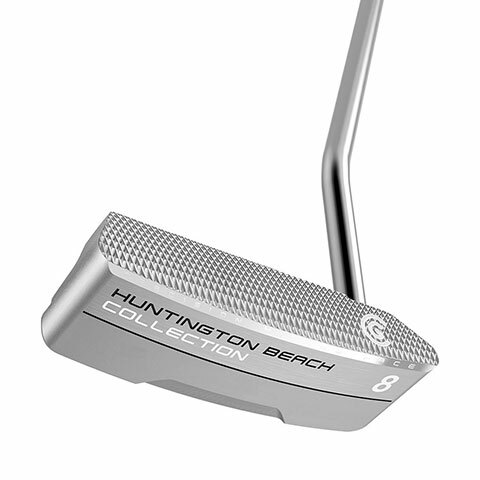 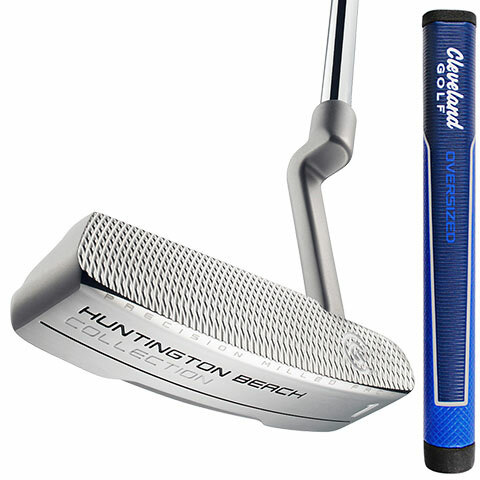 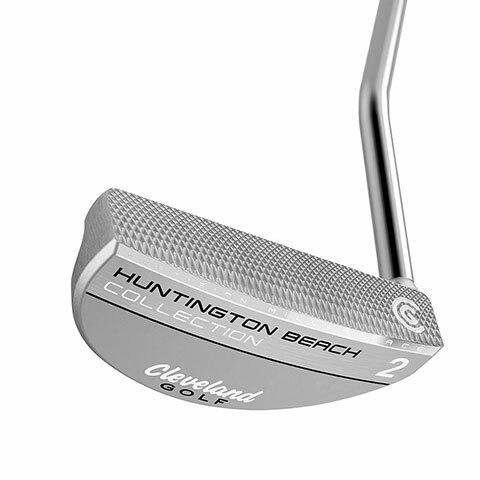 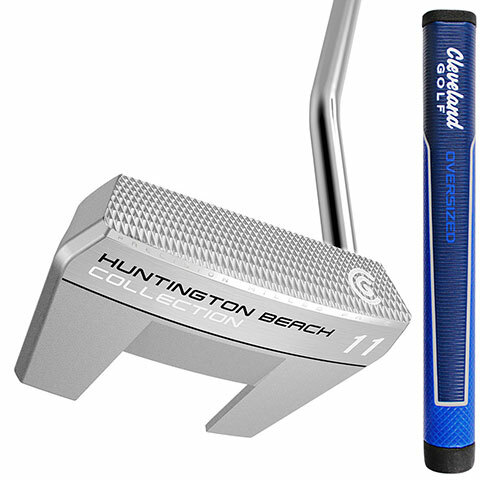 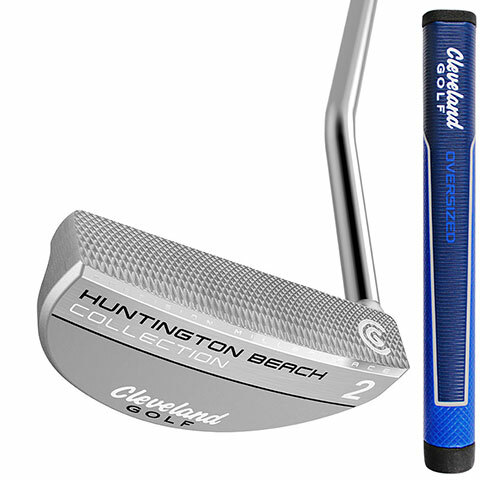 Each Cleveland Golf Huntington Beach putter features a Precison Milled Face that has a coarse, diamond-shaped milling pattern four times deeper than the previous-generation Classic Collection HB Putters. 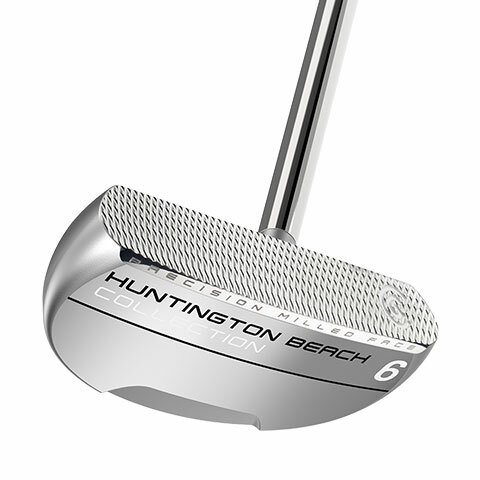 The deeper milling pattern softens the feel at impact while increasing friction for a truer, more consistent roll. 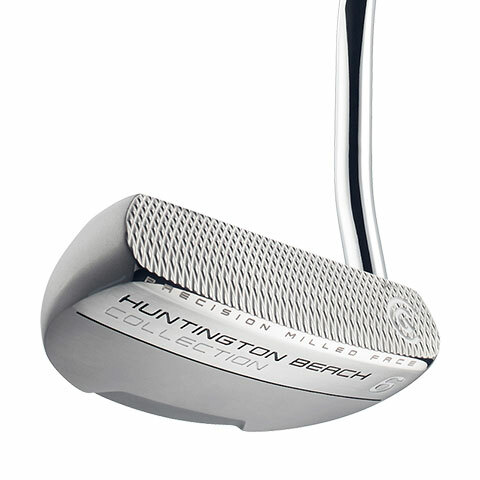 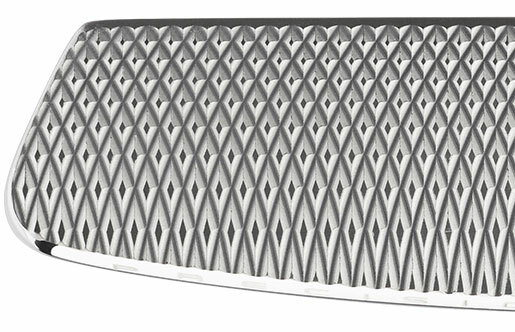 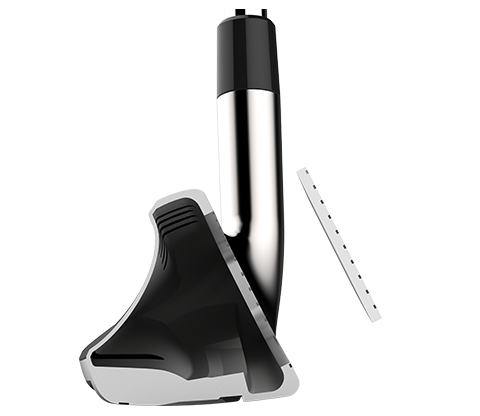 The soft, 304 Stainless Steel delivers a softer feel and is easier to bend for customization. 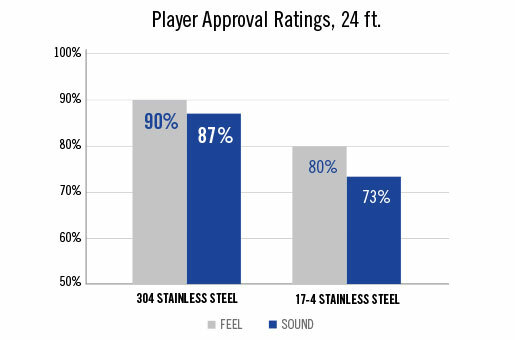 Cleveland Golf’s tensile strength testing confirms the 304 Stainless Steel is 51% softer than 17-4 Stainless Steel. 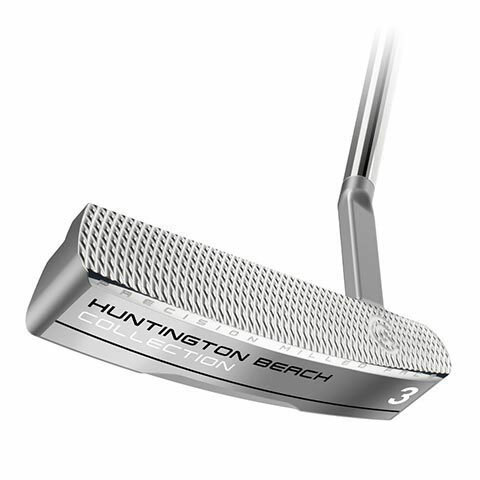 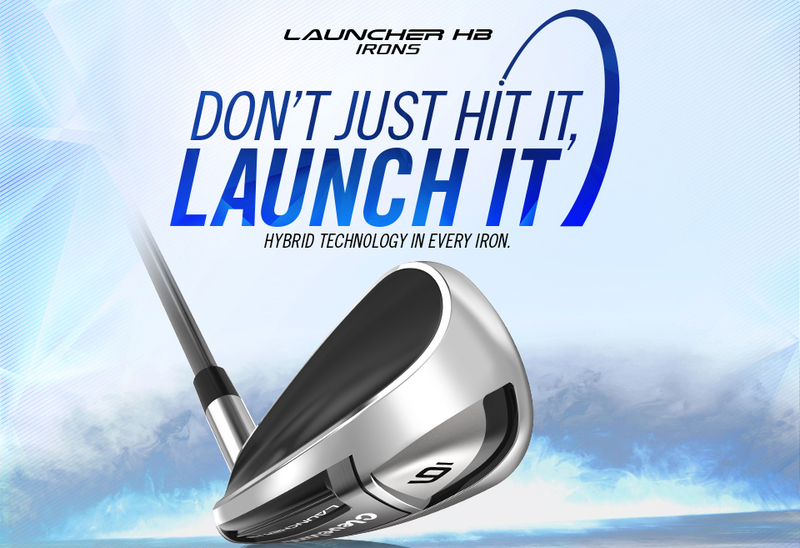 In addition to enhanced feel, the Huntingtion Beach Collection can be customized to fit your stroke with an 8º range (+/- 4º) of lie angle bending. 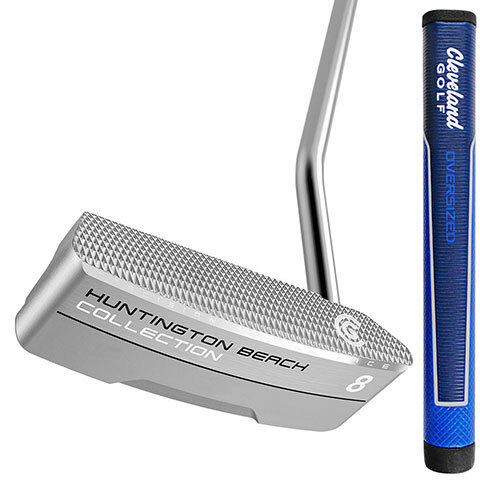 The Cleveland Golf Huntington Beach Collection features 3 traditional shapes that have withstood the test of time in both tour player and amateur golf bags. 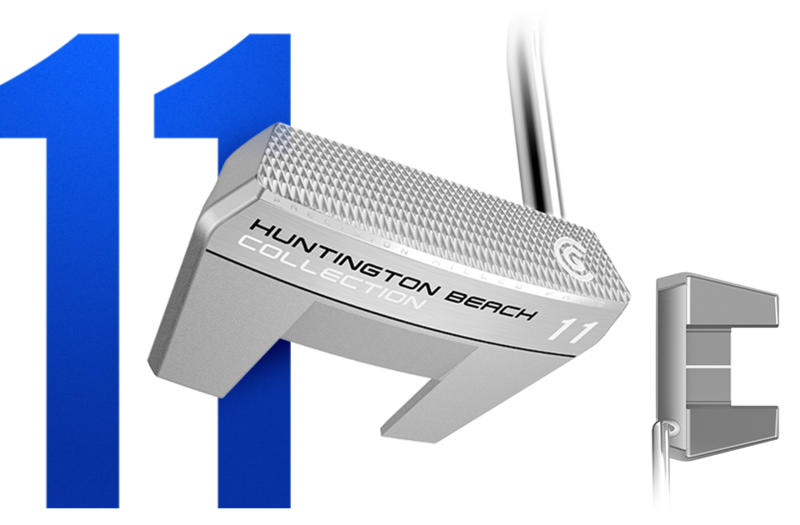 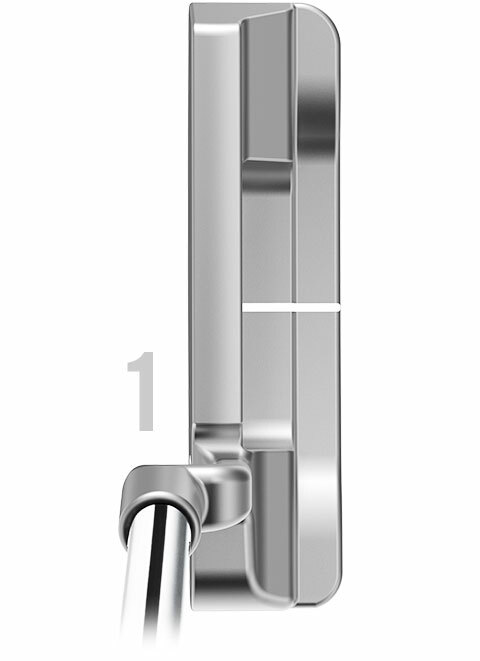 The 1 is a classic plumber’s neck blade designed with subtle curvature that portrays the softness of the putter. 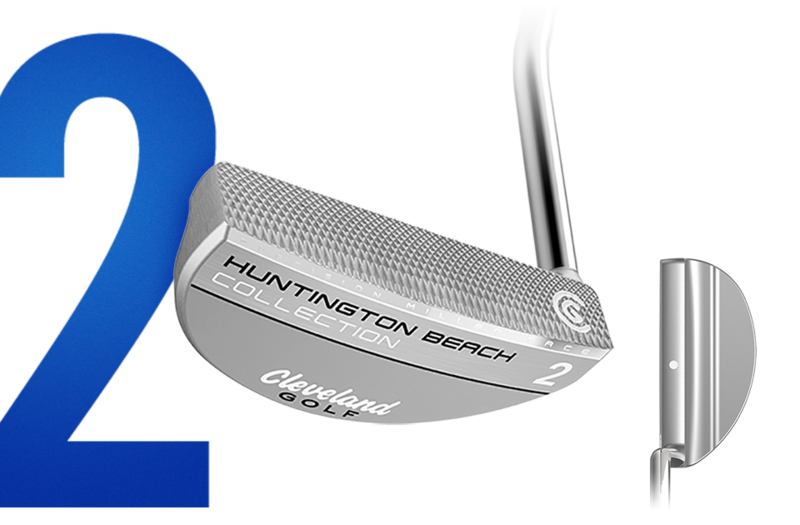 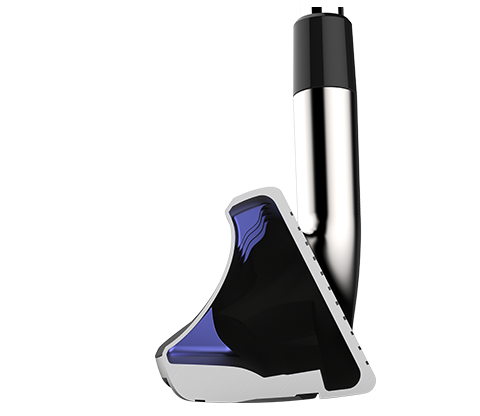 The 2 helps inspire confidence and alignment with its classic design to help any golfer improve their scoring. 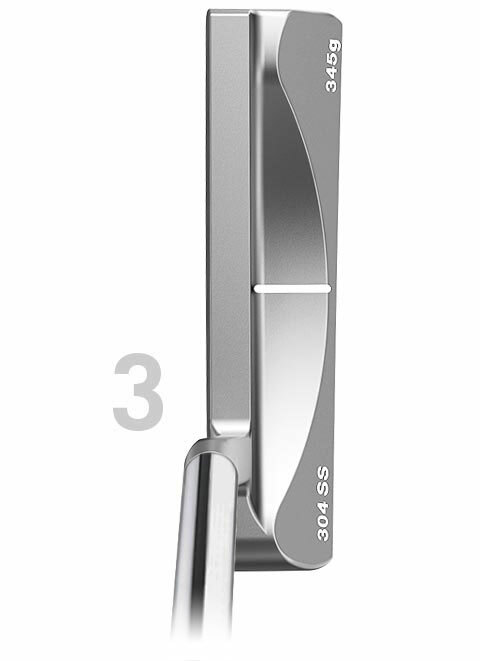 The 3 is a slant-neck blade with a subtly higher toe and clean address view. 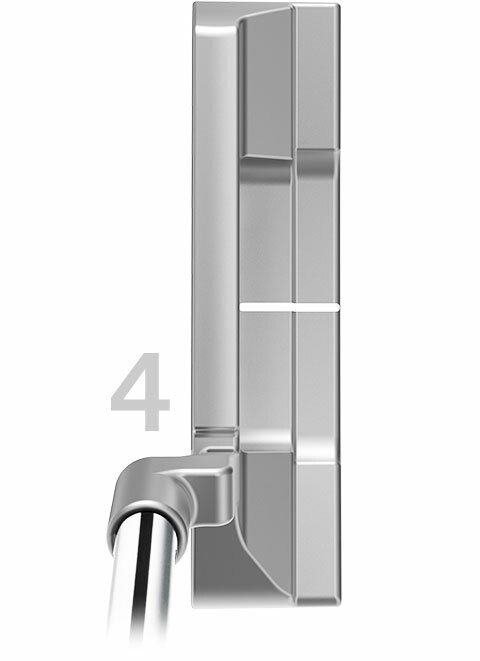 The 4 features a plumber’s neck with sharper, more aggressive angles for those who prefer a squarer look. 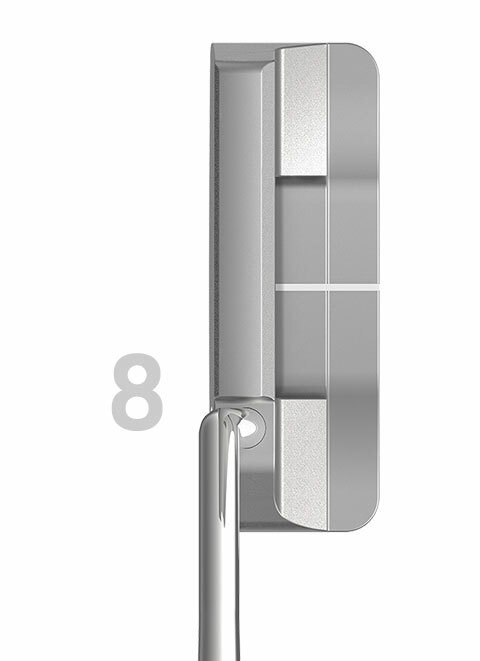 The 6 is a classic mid-mallet shape with a double bend shaft. 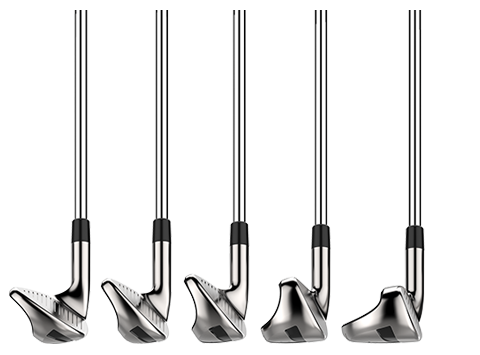 Each line flows from front to back to improve alignment and confidence. 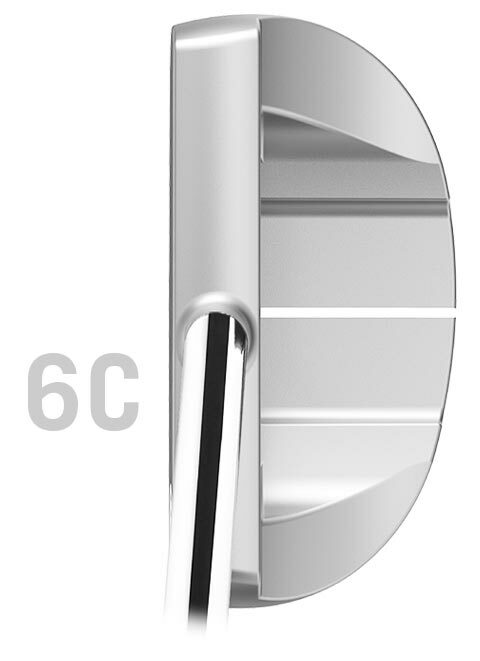 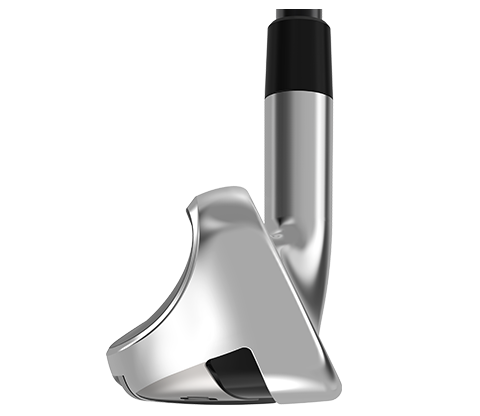 The 6C Putter is the same profile as our popular 6 shape, but with a center-shafted hosel configuration. 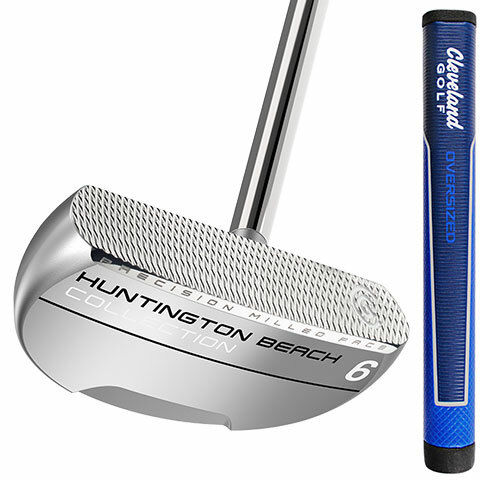 The 8 builds upon the previous models in the Huntington Beach collection, producing the same great roll and exceptional feel that has come to define this brand of putters. 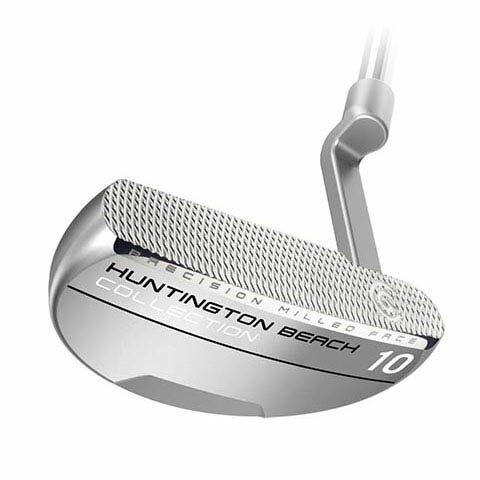 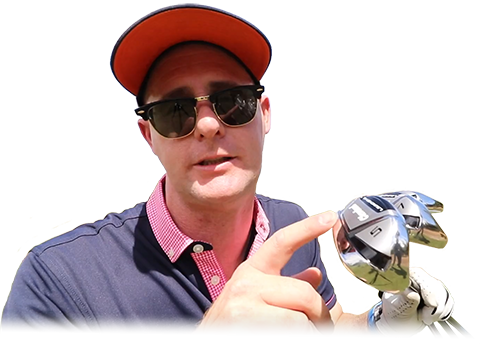 The 10 Putter is a plumber’s neck mid-mallet design for those who prefer a mid-mallet shape but like a hosel similar to a traditional blade putter. 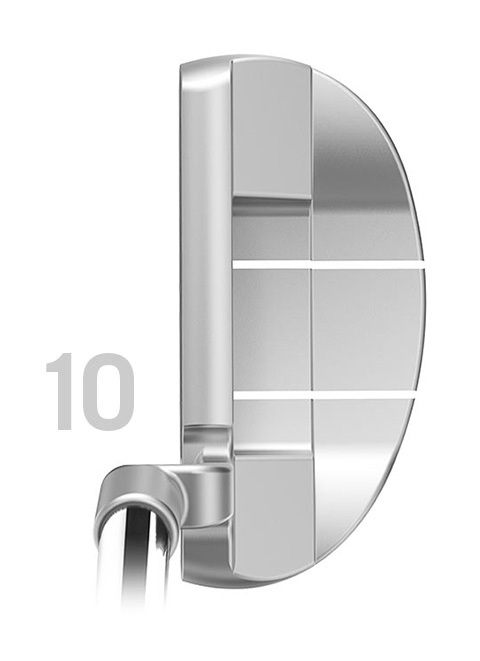 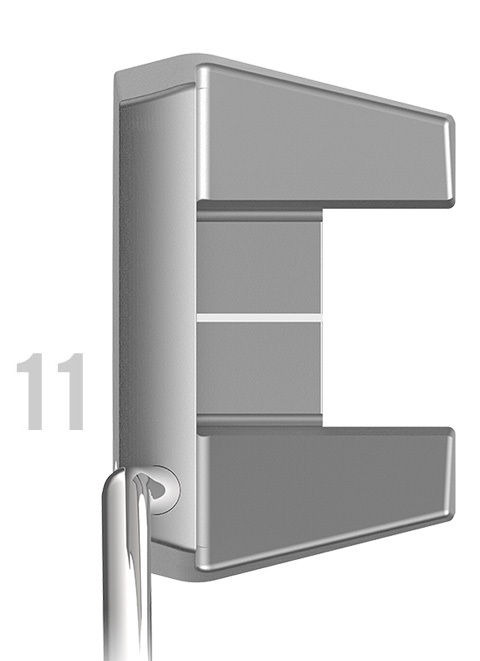 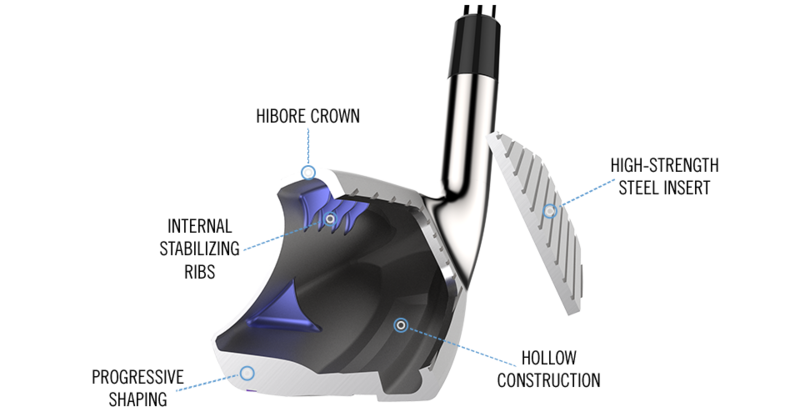 The 11 features two stability wings that add forgiveness and frame the ball at address for better alignment. 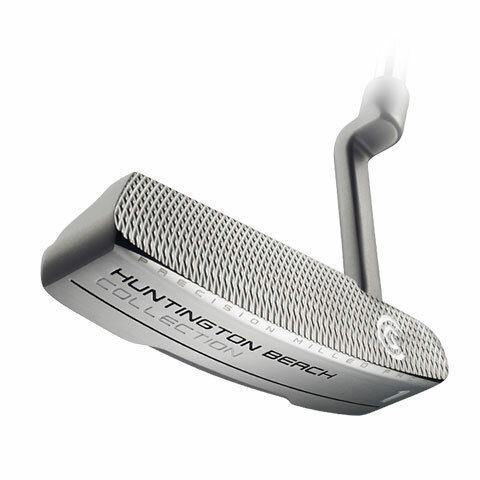 The unique midsize grip design helps promote stoke stability.